reen Smoothie University - GSU is a seminar and online resource program designed to educate and assist people in becoming healthier by addressing what they eat. Please Sign Up for our newsletter to receive current nutritional information and special events in your region of the country. 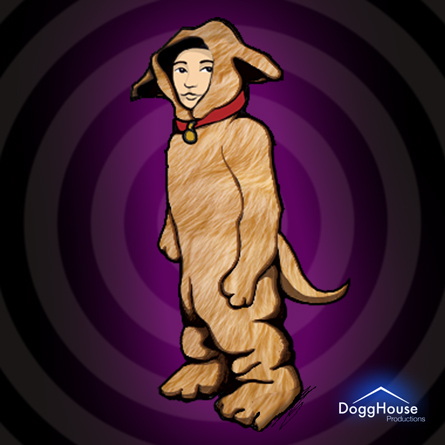 Feel free to further support our cause and organization by making donations through paypal on the sidebar. Golden Treasures Health & Wellness, Inc. 501(c)(3) presents Green Smoothie University (GSU) Healthy Eating Program. GSU – Green Smoothie University has created a very simple set of educational seminars sending an easy-to-understand message that “you truly are what you eat and therefore must monitor what you voluntarily bring into your body”. The program message is about empowering people to take full control and responsibility for what they use as food and beverage energy. It is a message that food and beverages can taste good and be good for you. It just takes a little knowledge and willingness to try new things. The results can and will be remarkable. People will lose weight, lower their blood pressure, reduce their cholesterol level, reduce their intake of harmful fats and high fructose corn syrup, and feel a renewed sense of energy and vibrancy. The sad fact is that a majority of the population in the United States somewhere around 65% are overweight and suffering for a number of ongoing illnesses related to their food choices and lack of daily exercise. Diabetes, high cholesterol, high blood pressure, heart disease, and cancer are all directly related to people’s lack of energetic nutritional food intake and the elective choice to ingest toxins on a daily basis. The solutions are always the same and quite simple but people continue to ignore them. Golden Treasures Health and Wellness, Inc. is going to help people to gain knowledge and inspire them to transition to a healthier way of living through its GSU educational lecture series program, online resources, healthy restaurant guide, and special partnerships with groups like Peta, Compassion Over Killing, and Natural News. The 10 leading causes for death in the United States are 1. Heart Disease, 2. Cancer, 3. Stroke (Cerebrovascular diseases), 4. Respiratory Diseases, 5. Accidents, 6. Alzheimer’s disease, 7. Diabetes, 8. Influenza / Pneumonia, 9. Nephritis (Kidney diseases), and 10. Septicemia (Infectious bacteria). The American Heart Association estimated in 2006 that over 81 million people in the United States have one or more forms of cardiovascular disease (CVD). The AHA also estimates that about 74.5 million people in the United States have high blood pressure. The American Diabetes Association has found that 8.3% of the population or 25.8 million people have diabetes and in 2007 we spent $218 billion dollars in related medical expenses. Diabetes is the 7th leading cause of death in the United States. Green Smoothie University (GSU) is a lecture series and resource website focused on educated various groups of people but will focus its early energies on seeking out clubs in high schools and colleges. GSU will bring the healthy eating message to campuses through seminars and demonstrations assist them to set up Compassion Campus Clubs, spread the simple positive message that viable alternatives exist, and to promote health as our greatest wealth. College age and high school age people are very susceptible to logical change. Many people of this age are looking for a positive cause to get behind. 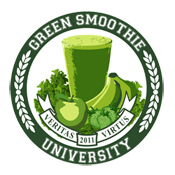 Green Smoothie University and Compassion Campus will provide them with the ability to become part of the healthy and compassionate eating revolution, to take pride in the message and inspire others to do the same. John Lennon imagined AND…..’Ei’ too imagine…… that who you are and what you share– will make a POSITIVE difference in the way (your species and other species) live. Carry on my confident son, your work has just begun! I’m thrilled at having met you, yesterday at Karma Fest. Keep up the good, and joyful work. Best wishes on your transition to PA.